The 2018 holidays are officially in full swing! It’s time to get shopping! 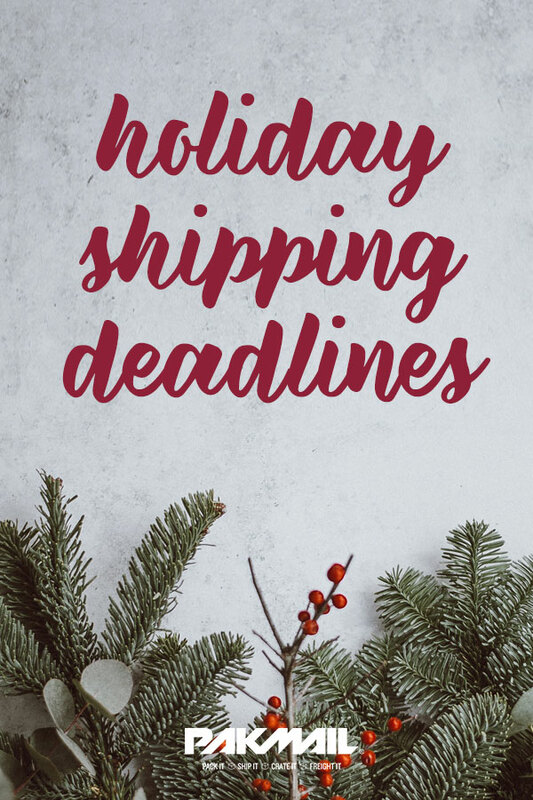 While out and about thinking of all the great gifts you’re going to get for your family, friends, or coworkers – remember these holiday shipping deadlines as you shop. Your loved ones are all over the world and just because they’re not physically close doesn’t mean you don’t feel close. Sending gifts that are special and mean something to them is such a great way of showing you care. A shipping center like Pak Mail Austin can help ensure that nobody gets forgotten or left out on that special day! They have all carrier options available so you can pick the one that best fits your budget and your deadlines. We want to help you make the most of your 2018 holiday season. So use these guides to help identify the best shipping carrier for you this December. Feel free to print out or bookmark this page to keep handy while you’re shopping! That way no matter what gift you get for your Aunt Mary, or your nieces and nephews – you can make sure they get them in time to open Christmas morning.